In this tutorial we will guide you on how to install Subrion on your hosting account using FTP and following the Subrion installation wizard. 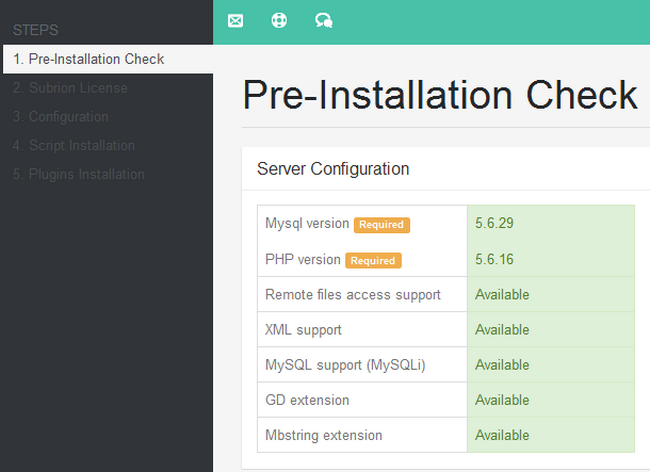 To manually install Subrion on your hosting account you will have to download the latest version of the application which you can find by visiting the official download page. Click the Download button and an archived version of the installation will be saved on your local computer. Start your favorite FTP client and connect to your hosting account. First thing you should decide before uploading the archive is under which folder of your account you would like to have Subrion installed. I you would like to have your CMS accessible directly via your domain name http://example.com you should use the public_html directory to upload the file. In case you would like to have your store setup into a subdirectory such as /blog/ and have it accessible via http://example.com/blog/, you should create a directory called blog under the public_html folder and upload the file there. It might take up to a few minutes to upload the archive. Once uploaded right click on it and select the extract option. 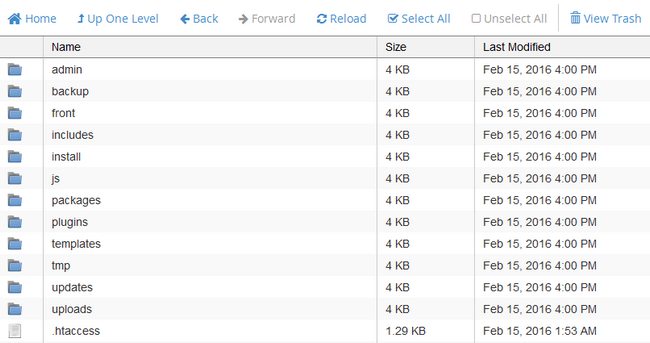 If you refresh you should see a Subrion folder structure similar to the one below. 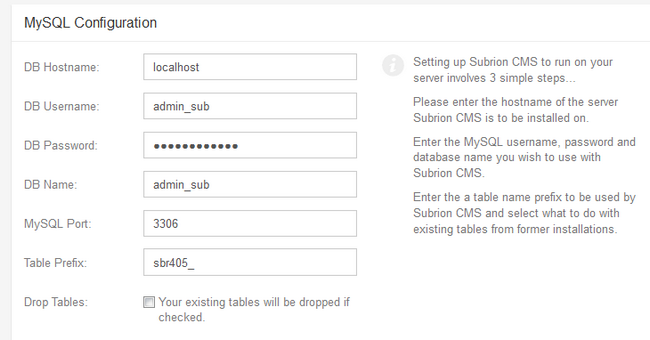 Before we start the installation process, you will need to create a database in which all of Subrion’s SQL entries will be kept. We will use this in a few moments. Open your favorite browser and navigate to the directory where you uploaded the files. This will open the Subrion Installation Wizard. The first page will notify you of the server requirements which you shouldn’t worry about as we have you covered. Scroll down and click on the Next button. The second installation step includes the License which you should read and agree to (if you actually agree to it of course). After you agree you will be able to click on the Next button. The Administrator Configuration is fairly simple and requires the standard elements such as Username, Password and Email Address. 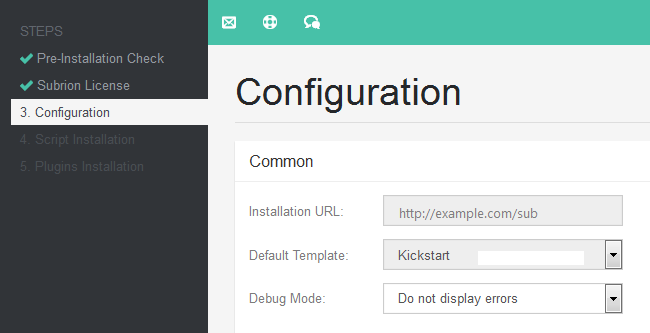 Once you have filled out the required information click on the Install button. Step 4 of the Installation process will show you if the installation is successful or not. 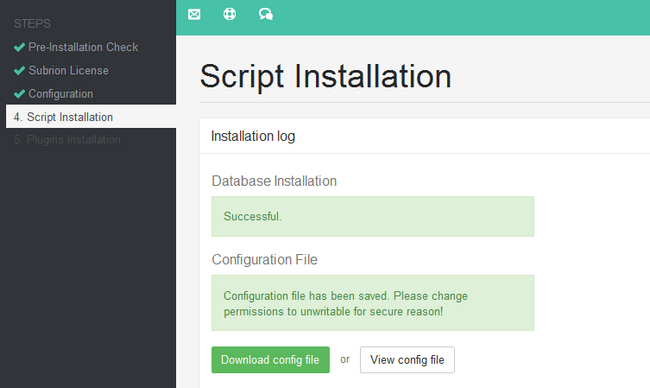 If you have mistyped something in the previous step you will be able to return and fix it in order to install the script correctly. At the bottom of the page you will see a Security reminder to remove the install folder from your hosting account. This is very important as the install.php can be used to overwrite your entire website at any given point if not removed. However, you do not need to do manually remove the folder. Click on the Go to Admin panel button and you will log into the admin area of your website. Here you will see a notification in the upright corner about the install folder. Click on the link in that notification and you will receive a confirmation that Subrion has removed the folder for you. Congratulations! You have successfully installed Subrion and you are ready to start configuring and fine tuning your website.